The holiday season brings sleigh bells, Christmas trees, joyful songs and cold days… very cold days. What better way to warm up between classes than grabbing a holiday-infused coffee at one of the local shops? 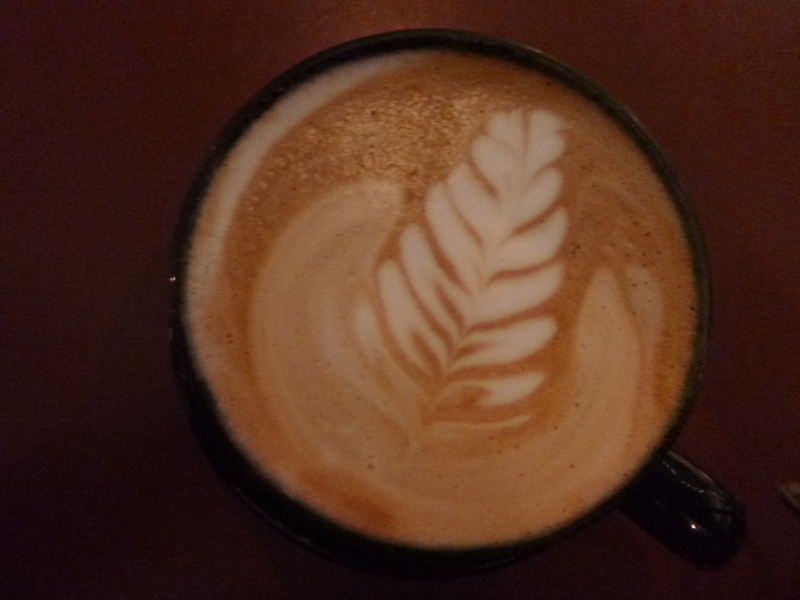 I checked out the different holiday specials at Court Street Coffee, Donkey Coffee and Brenen’s so you know which drinks will bring you holiday cheer and which aren’t worth buying. Court Street Coffee offers three holiday drinks for me to try: Peppermint White Mocha, Gingerbread Mocha and the Egg Nog Latte. My taste buds are feeling adventurous, so I go for the Egg Nog Latte. Mmmmm, my god it smells like Christmas. I sit down at my favorite spot (the single wooden chair with no back accompanied by the small but big-enough wooden desk, both of which face the street) and take my first sip. Despite the strong aroma when I bring the cup closer to my face, the drink itself is quite weak in flavor. There is a slight cinnamon flavor, which is perfect with me because too much of anything is, well, too much. And I now realize that, ahh, yes, that aroma is most definitely the cinnamon. The subtle taste of vanilla blends with the cinnamon almost as a calming agent, bringing down the overall intensity of the drink to a delicious and satisfying holiday indulgence. Most holiday drinks are too rich and decadent to finish the entire cup—even grande-sized. But as I sit in in the beloved coffee shop, I find myself almost completely finished with my medium sized Egg Nog Latte. So hey, Court Street Coffee! I love you an Egg-Nog-Latte. At Donkey, where you choose to sit is just as important as what you choose to drink. Once I select the holiday-infused Peppermint Mocha, I sit down at a table in the middle of the back room, surrounded by conversations and couples. The smell of peppermint wafting from my mocha is practically begging me to take my first sip. I simply can’t resist. But wait, I just have to snap one more picture (the baristas here are über talented at creating their coffee displays). Okay. It’s time to drink. Oh my god. I actually think I can feel my taste buds jumping for joy and thanking me for enveloping them in this wonderful blanket of warmth and peppermint. My mouth is salivating… I must sip again. The taste of peppermint is definitely primary, but a subtle milk chocolate flavor is woven throughout, giving the drink a depth that I wasn’t sure was possible to be contained in a single ceramic black mug. This drink not only makes me want the date to be December 25th, but it also brings me back to my girl scout days: its official, I am renaming this the Melted-Thin-Mint-Mocha. However, I am now nearly half way through the mug and am finding myself sugar-sick. The rich flavors are delicious, don’t get me wrong, but the heaviness of the drink along with the cream on top is a little much for even this peppermint-lover to enjoy for more than the size of a Small. P.S. : This winter-y drink is actually just a preview of Donkey’s actual holiday special. Donkey will be serving Peppermint Bark Mochas: a mix of white chocolate, peppermint and vanilla with a candy cane on the side, topped with whipped cream and drizzled chocolate. Drooling yet? Stop by Donkey Coffee anytime after November 30th to taste it for yourself! 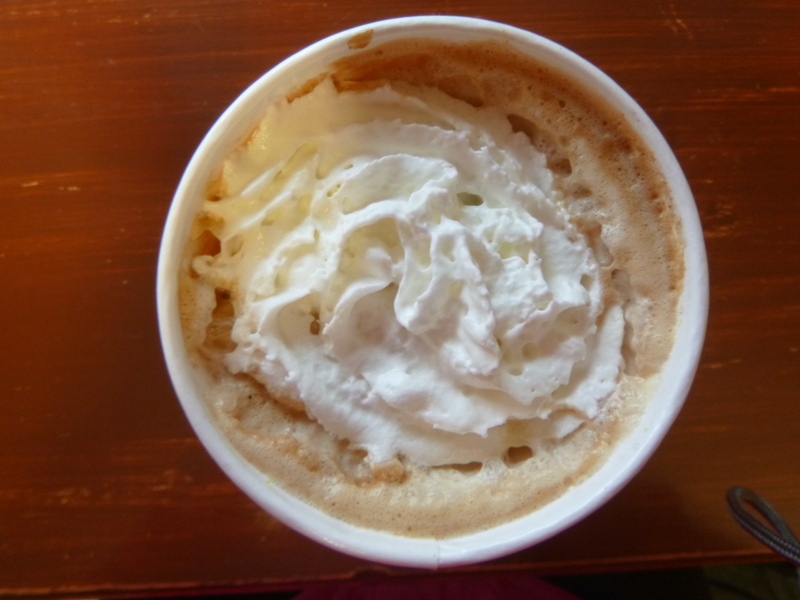 The Candy Cane Mocha is this year’s holiday hit at Brenen’s Coffee and Café. In a nondescript white cup with an equally as plain black lid, the visual is sub par compared to the other shops. But it’s warm and tastes like peppermint; I’m sure the taste the much better than the presentation. After waiting a significant amount of time for the drink to cool off, I tentatively take my first sip. And with my first sip, I am officially diagnosing this drink with Multiple Personality Disorder… is it a cinnamon drink? Or peppermint? Judging the name, I was expecting peppermint; however the intense cinnamon taste makes me think otherwise. There is no trace of candy canes (or even peppermint) in this drink, failing to give me those yay-yay-yay-it’s-almost-Christmas vibes. On top of the mislabeled flavor, this drink tastes stale and bitter. It tastes like an herbal tea with too much milk and too many herbs. And as freezing as I am right now, staying warm is not worth drinking these terrible-tasting calories. I throw away my cup, not even a third of the way empty, and make my way back to either Court Street Coffee or Donkey Coffee; at least I know I’ll get a delicious holiday drink there. Have you tried any other delicious holiday drinks in town? Let us know in the comments which ones are your favorites! ← Living with a legend: a Vine legend, that is.